This Saturday, young Singaporean beat maker and producer, LINEATH will be releasing his 5-track solo EP. The EP has been lovingly put together with the guidance of his mentor, music producer Don Richmond. All five tracks have been written, produced, mixed and mastered by LINEATH. The other 2 standout tunes ‘Ratchet Girl’ and ‘Australia’ are intertwined as both songs revolve around the same topic. ‘Ratchet Girl’ has that pop, Hip–Hop and EDM vibe running throughout the entire song. That particular style sums up the entire EP. Starting off with a Hip-Hop beat, it morphs to a pop chorus, creaking down to a Trap drop. ‘Australia’, on the other hand, was supposed to be a simple 20 seconds interlude after ‘Ratchet Girl’ which took on a new life, evolving into a new song. The 20-year old producer shares, “One thing I really love about this song is that it’s a really fun song to play live!” ‘Can’t Wait’ features a killer scratch routine from fellow Grizzle Grind Crew mate DJ LeNERD, winner of Live Mix Maestro 2013. LINEATH (short for Lineath Rajendran) started off as a self taught beat maker back in 2007 when he was just 14. In 2009, he started producing for a couple of his friends which were featured on their mixtapes. LINEATH released Solo Medley, a collection of songs back in 2011 with lyrics that were deep and beats that were equally as heavy, thus quickly earning him attention from the local scene. In December 2012, he had his first sold out performance in the Marina Bay Sands Grand Theatre when he was shortlisted as one of the solo vocalists for Childaid 2012. He was also featured on the Home Section of the Straits Times newspaper and on Tabla! Magazine. 2014 has nonetheless been an amazing year for LINEATH. 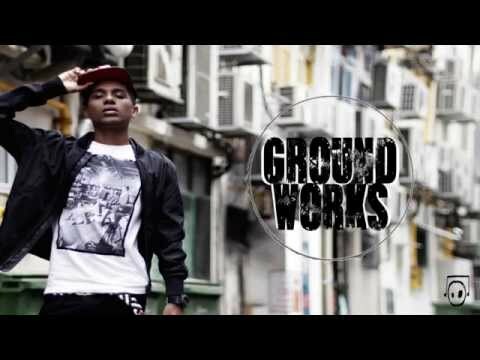 He produced the theme song for Jack Neo’s latest movie “The Lion Men” together with fellow Grizzle Grind Crew mate Tosh Rock. He produced another 2 more tracks for the movie. Ground Works can be bought via www.lineathmusic.com, iTunes and be found on most music streaming sites.